A day in the life of a Moretons negotiator...........Runner up! Moretons may be a small office but there is never a lack of excitement and activity. After arriving in the office in a race against time, the initial exchange of good mornings and the now routine friendly natter over a cup of coffee makes a good and positive start in the world of Real Estate. I, as everyone else at Moretons take my role very seriously. I believe that passion for people, relationship building, and the drive to please and excel at service provision is what makes us the success story that we are. In the first instance it is very important to understand the relationship between the 3 points above. Landlords need tenants and tenants need properties. Without properties there wouldn’t be a landlord or tenant. A change in any of the above has a great impact on the other as you can imagine. The key factor in my case is to keep analysing the market and communicate and most importantly act on every change and development in the market. The landlord needs to understand how much his property is worth and so it is up to me to consult and in some cases even re-educate the landlord on real term property values and movement. Not only the price but also the decoration plays a key part in successfully letting a property. Feeding the landlord a bitter “your property needs a re-vamp” pill is never fun but always in their best interests. The truth is not always beautiful but at Moretons it’s not about clouding the sky pink if it really is grey and so far has always achieved the best outcome = a happy landlord. In addition to decoration, a property that is priced too high will price itself out of the market and worse still, make other properties look more attractive to the tenant. This is one reason why we at Moretons speak to our landlords at least once a week. It gives us the opportunities to not only advise and feedback comments from viewings, it allows us to build a relationship with the landlord who we are ultimately trying to provide the best possible service to. Once expectations and requirements have been discussed and put in check I will arrange a viewing of all properties that are best suited to the potential tenant. It is very important to me not to waist anyone’s time – which is another reason I ensure to know as much as possible about the ideal property, location and even little things such as life style and hobbies. The dictionary definition of the market place is as follows: the world of commercial activity where goods and services are traded or bought and sold. The market place in the world of lettings is the place where negotiations between landlords and tenants take place. This task can be a very easy one – depending on how well the negotiator has communicated and kept the landlord and tenant in the know about fluctuations and developments “on the street”. I would like to believe that Moretons have achieved a good way of making this an easy place to operate. The way we have achieved this is by communicating factually and honestly to both landlords and tenants about “what the word on the street is”. In addition to the above we have to remember that without competition there would be no market. 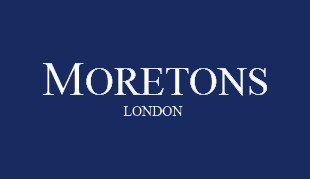 At Moretons we acknowledge that there is competition but we don’t see this as a threat – we chose to work with it. Building a good working relationship with other agents means that we expand the market place of our own properties allowing our landlords to find tenants via other avenues than our own. It also allows us to serve potential tenants better (if necessary) by providing a wider range of properties, increasing the success rate for both parties. In addition to the above we work very closely with the sales team as any sale may bring with it a new landlord – a landlord that needs a tenant. It is a never ending cycle of seemingly the same but no day and no deal is ever the same! Team work is written in capital letters at Moretons and I believe that it is this attitude, the motivation to excel and provide the best and most effective service both internally and our customers is what makes us the enthusiastic and winning team that we are.